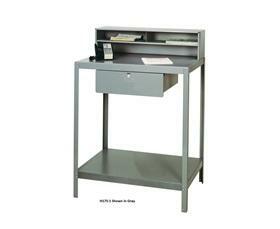 Desks can be stationary or mobile. Locking swivel casters (-R) and leveling glides (-G) are available. Choose from a single or double top compartment for increased storage. 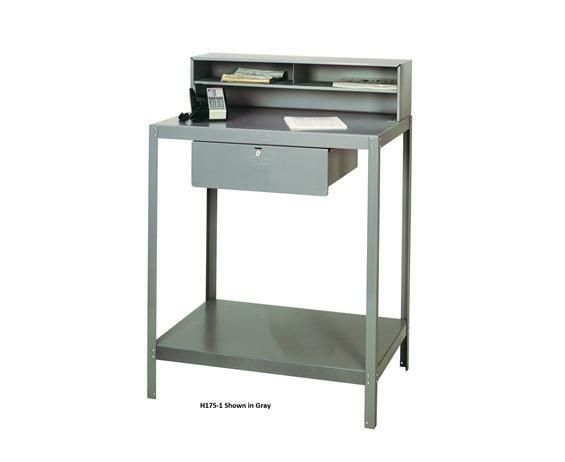 All desks include a heavy duty bench drawer that runs on ball bearing slides and has a sliding insert tray and cylinder lock. Drawer dimensions are 20 x 20 x 6". 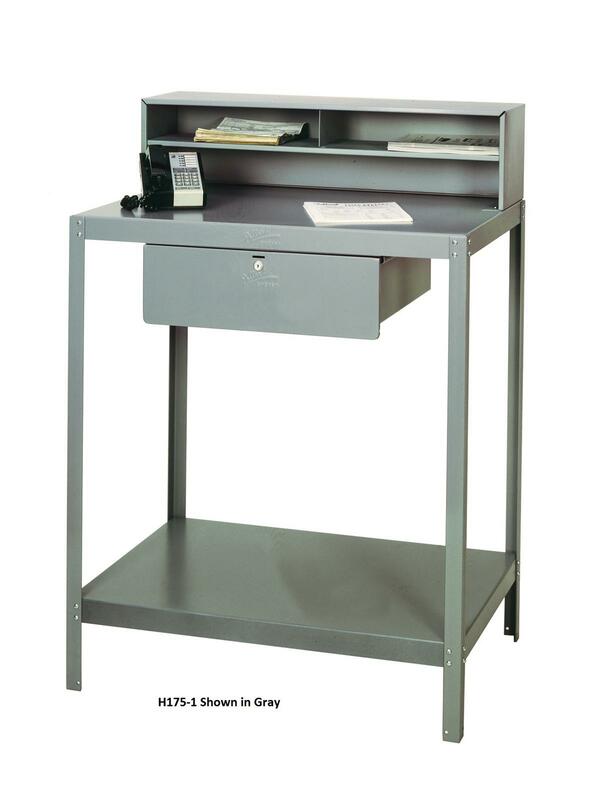 Overall desk size is 36 x 24 x 42” to desk height; 51” O/A height. Standard color Gray or Green. Additional colors available – call for information. Ships KD. FOB Shipping Point. Larger drawer option available - call for information.